KEEPING in line with travelling around the country, we take a look at the top grade in the South Australia Women’s Football League (SAWFL) and how each team is performing after 12 rounds. At the end of 12 rounds, Morphettville Park leads the top division with 10 wins from 12 games, Their two losses came against Christies Beach in Round 5 and Salisbury in Round 8. Since then four consecutive wins have followed, but a narrow one-point win over Adelaide University in the last match would have been a heart-stopper. Lucy Bellinger has been the star for the ladder leaders, booting 15 goals in 11 matches and was named in the best six times. Lisa Whiteley has been ultra impressive in her eight games, booting 12 goals and named among the best four games. Leah Cutting, Lauren Buchanan, Charlotte Dawe and Angela Moritz are others who have been the top performers and also hit the scoreboard throughout the year. Chelsea Packer has been named among the best in half of her 12 games, while Hannah Priest has also been impressive. Christies Beach is just four points – two wins – behind Morphettville Park, having defeated the ladder leaders in Round 5 before going down to them in Round 10. They also knocked off Salisbury after losing to them earlier in the season, and have split the results with Adelaide University as well. A loss to Fitzroy in Round 7 would have been disappointing, but the side bounced back with a win last weekend in a close five-point victory. Alana Browne has been the top star, named among the best seven times in 11 games with five goals to her name. Czenya Cavouras has been a top player in just nine games, named among the best on six occasions, while Elyse Haussen and Samantha Pratt are others who have multiple nominations in the best with five. Jessica Waterhouse has booted 14 goals from 10 games to be the team’s leading goal kicker ahead of Tamsyn Morriss with 10 from 12. 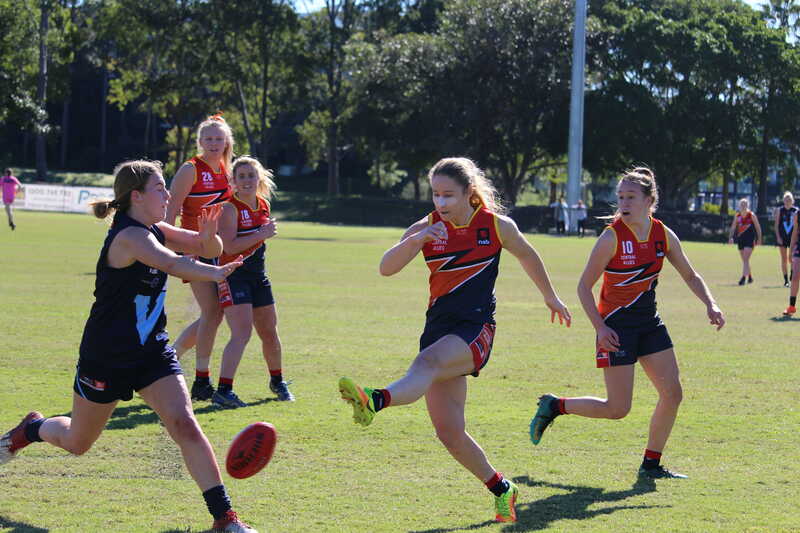 The Statewide Super Women’s League Rising Star winner Nikki Gore has played just the one game thus far, but made it count, named best on ground in the team’s win over Salisbury. The third placed Salisbury has won four of the first five, and six of the first eight games for the season, before losing three consecutive games to Christies Beach, Fitzroy and Adelaide University. They bounced back with a win over Port Adelaide in a 91-point victory. The last three rounds will test them with the top two sides and Fitzroy. Teenage sensation Katelyn Rosenzweig has been a star for the side, averaging the most goals of any player with double figure majors, booting 17 in eight games and named among the best four times. Kasia Culhane has booted 14 goals in nine games and has also been named among the best, while Nicole Baker is the club house leader, named among the best eight times in the 12 games, having booted 10 goals. Paige Allan, Brittany Perry and Ashleigh Woodland are others who have impressed for Salisbury. Adelaide University is keeping in touch with the top three sides, having a positive win-loss ratio to head into the final three rounds. They started the season with two losses before having four straight wins. A second loss to Morphettville Park was followed by four straight wins, before pushing the ladder leaders all the way in the weekend just gone, going down to a point. Kelly Barltrop is the competition’s leading goal kicker, booting 23 majors in five games, the clear standout for the club, with the next highest goal kicker being Rhianna Peate with six. 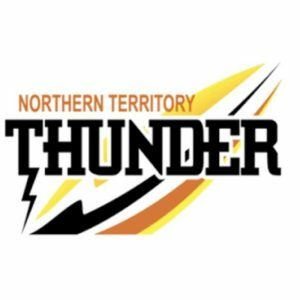 Peate has also been named among the best five times, the same as Barltrop, Matilda Zanker and Tess Baxter, while Ebony O’Dea has been the star with seven top games in nine appearances. A Round 3 win against Port Adelaide got the season started, but Fitzroy found themselves sitting 1-5 after six rounds. They bounced back with a huge upset against Christies Beach in Round 7, making it back-to-back wins with victory against Port Adelaide. Another win against Salisbury two weeks later proved Fitzroy could match it with the best and loom as a danger side, but head into the round after two losses, albeit one a tight five-point defeat to Christies Beach. Fitzroy’s key has not been a standout player, with Hannah Martin, Chelsea Biddell, Melanie Elsegood, Gretel Ramsey, Phoebe Edwards and Lauren De Bono all named among the best three times. Samantha Williams will have been a key to Fitzroy’s recent good form, named among the best three times in the four games she has played. Martin (eight goals), Biddell (seven) and Alana Lowry (six) are the three leading goal kickers at the club. 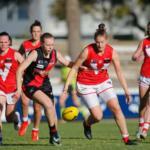 Talented youngster and Central Allies’ player Jaimi Tabb has booted five goals from eight games. It has not been the easiest season for Port Adelaide, yet to register a win, but having a number of promising performances throughout the year. They only went down to ladder leaders Morphettville Park by 12 points in Round 9, and Christies Beach by 28 points in Round 1. They have also restricted their opponents to under 100 points on all but two occasions. Port Adelaide have just lacked a central focus up forward with Ashlee Gould and Rebekah Wanganeen leading the goal kicking with four majors, while Emma Sampson and Kaylah Usher have three majors each. Faye Karafoulidis and Rhiannon Busch have been shining lights in the season, named among the best five times, while Gould, Natasha Farrier and Erica Greet have all been named in the best four times.